Celebrity Gossip and Entertainment News: Khloe Kardashian and French Montana Reconcile? Khloe Kardashian and French Montana Reconcile? Rapper French Montana hints at a reconciliation with Khloe Kardashian. 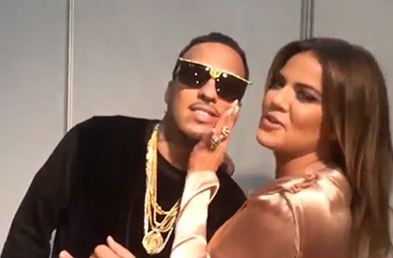 Has French Montana reunited with Khloe Kardashian? The pair reportedly split last month after the reality star decided she needed a break from their whirlwind romance, but during his appearance on “The Wendy Williams Show” Friday, Montana implied that the two might have reconciled. Since the rapper told Williams that no question was off limits, she started out by asking him if he and Kardashian were officially over. “You know like every relationship, you break up, you make up,” he said. “Right now we’re on real good terms.” “So you’re still boyfriend (and) girlfriend?” the talk show host asked. Williams expressed surprise, because she felt that the rapper was dating Kardashian for the publicity. “I don’t feel like love comes like that,” he responded. He also expressed affection for another Kardashian woman: Khloe’s mother Kris Jenner. Williams didn’t stop with the tough questions, also asking about the reported cash payout of $1.2 million to his ex-wife as part of their divorce settlement.